Reason #1 - As home and condo sales boom, land sits idle ... for now. Prices for homes, townhouses, and condos have skyrocketed in the mountains. There has been a significant increase in the number of properties sold as well as average sale price (see below). The corresponding in inventory and increased demand has made it difficult for buyers to find existing homes. As this continues, demand will shift to land, reducing inventory and pushing land prices up. Fortunately, this has yet to happen but will soon. Comparing inventory from last January, residential inventory is down over 50%. Land will be next. NOW IS THE TIME TO BUY LAND!! Reason #2 - The 'Ski Train' is back! The 'Ski Train' has returned, and with better service! For years, skiers on the Denver Front Range could only buy single day, round-trip tickets on the Ski Train from Denver's Union Station. This was a nice amenity but didn't work well for destination skiers who wanted to spend more than one day skiing. Now, one-way tickets can be purchased with returns at a later date. 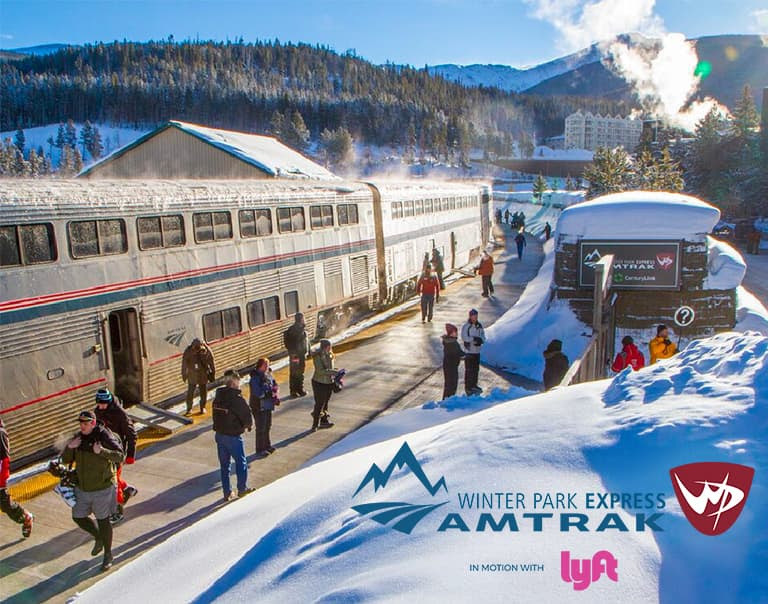 Plus, with the new commuter rail line from Denver International Airport to Union Station, visitors from throughout the country and across the globe can get to and from Winter Park without having to rent a car, secure a shuttle, or navigate mountain roads. Visitors can take the A-Line to Union Station, explore Downtown Denver, and stay right in the renovated Union Station before heading to the mountains. Winter Park has become a destination resort after years of being a locals' mountain! With almost a dozen new construction projects in downtown that are complete or under construction, there is a new commercial investor base establishing itself in Winter Park. Where there were always rooftops, now restaurants and shopping are catching up. As a result of new capital pouring into The Village at Winter Park Resort and multiple new mixed use projects downtown, the tax base will continue to rise as will property values. In addition, as new construction of homes heats up, land will become a hot commodity. Now is the time to stake your claim in the Colorado Rockies! Right now there are reasonable priced lots from 2 to 40 acres! Capital improvements have already been announced at Winter Park Ski Resort only months after Aspen Skiing Company / KSL has taken over operations. In a $1.5 billion acquisition of Intrawest Resort Holdings, the ante has been raised. Recent announcements include a new $28 million 20-person gondola as well as the introduction of the IKON Ski Pass which in addition to Winter Park, includes passes to 23 other resorts across the US and Canada. This new exposure will undoubtedly shine a bright light on Winter Park Ski Resort as a international ski destination. Andre DeBakker is a first generation American of Dutch heritage. Over 17% of the land mass of Holland is below sea level and has been reclaimed from the sea and lakes. Having traveled in The Netherlands extensively, Andre recognized the value of land at a young age and took a great interest in buying, selling, and developing land. For 30 years now, Andre has specialized in land and helps people research, buy, and sell land for investment, construction or preservation.